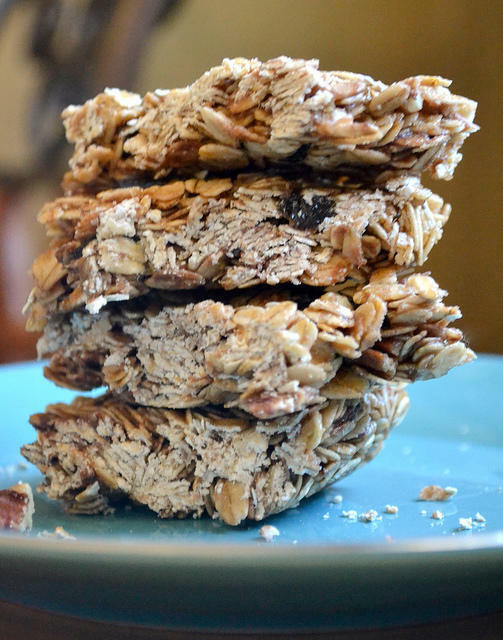 Store-bought energy bars aren't cheap. Why buy them when you can make your own? You'll save money, and you can adapt them to fit your tastes. You can also store them in your freezer for months on end. Bars are easy to make - they're not baked or cooked - and they're filled with wonderful ingredients. Cashews, almonds, pumpkin seeds, sunflower seeds, flax seeds, chia seeds, raw cacao, apricots, figs, coconut/coconut oil and dates are all common ingredients in homemade energy bars. The dates, coconut, apricot and figs work like a paste to hold all the ingredients together, and they add moisture and plenty of sweetness. There's no need to add sugar. These nuts, seeds and dried fruits are full of protein, fiber and nutrients. The recipe below, which is attributed to Robin Coggins, also suggests some chocolate drizzle, which is tasty but optional, since the chocolate quickly gets messy. You can adapt this recipe almost endlessly. Instructions: Combine cashews, almonds, pumpkin / sunflower seeds, coconut, flax seed, hemp hearts, chia seeds and 1/4 cup raw cacao powder in a blender. Process until combined but still chunky. Transfer mixture to a bowl. Combine dates, apricots and 1/4 cup melted coconut oil in the blender and process until a thick paste forms. Add the nut/seed mixture back into the blender with the baste and add the remaining 1/4 cup coconut oil. Process until well combined. You may need to scrape down the sides a few times to make this happen. Press into 1 or 2 parchment paper-lined loaf pans. I use 2 10x5 loaf pans. Place in freezer for 30 minutes. While bars are solidifying, make the melted chocolate. Whisk 1 Tbsp melted coconut oil, 1 tsp raw cacao and 1-2 tsp maple syrup (adjust to taste) until well combined. When the bars are ready, drizzle the chocolate mixture over the bars and cut into squares. Store in the refrigerator. Listen now for more of the "Food Guys." 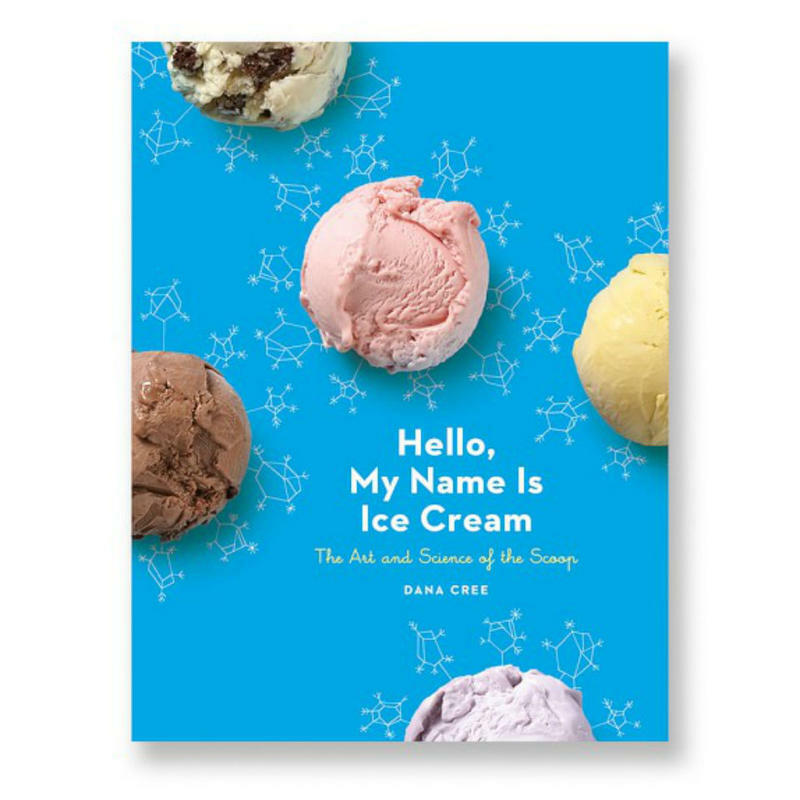 The Food Guys discuss the book "Hello, My Name Is Ice Cream: The Art and Science of the Scoop" by Dana Cree. The book covers everything you could possibly need to know about ice cream, sorbets, gelato and frozen yogurt. 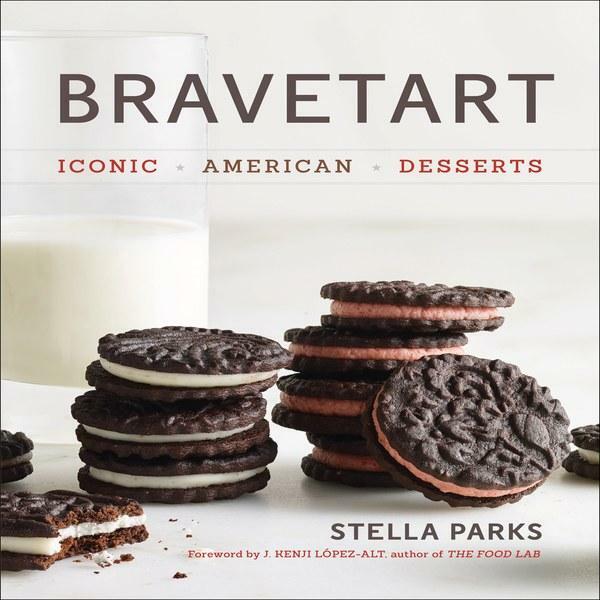 The Food Guys discuss their new cookbook rave, "Bravetart" by Stella Parks. "It's not a labor of love, it's a labor of devotion." says Jon Jackson. 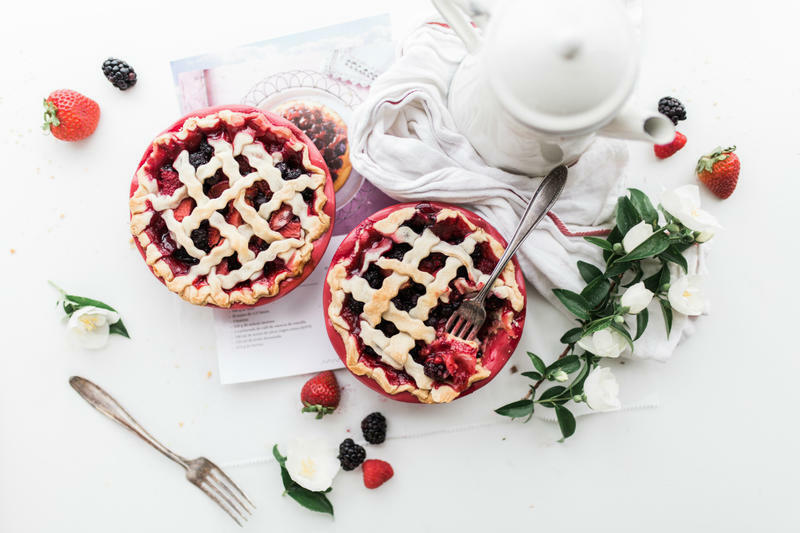 Parks researched the book, a history of desserts, for five years. All sorts of favorites are included - you can make classics at home while you learn about their history. 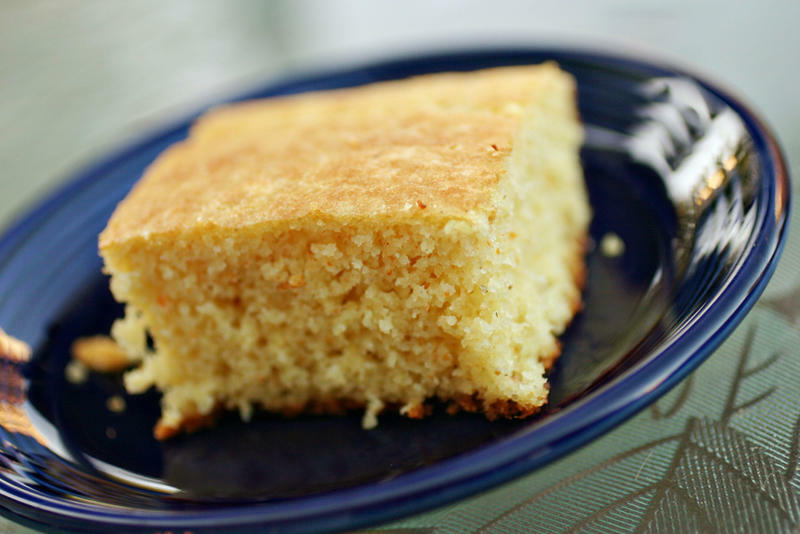 The Food Guys create a bold and delicious cornbread recipe, great to accompany a good chili dish.